The situation that many consumers are finding is that many companies selling products are claiming they are the manufacture. Claiming that the products are made in USA, or Germany, or Canada, all avoiding the truth about where they are actually manufactured – CHINA. First off, make a good comparison by just looking at the sauna. Look at the keypad, the overall construction, shape, design, right down to the door handle, seating arrangements. You will see that there is a consistency from one brand to another. 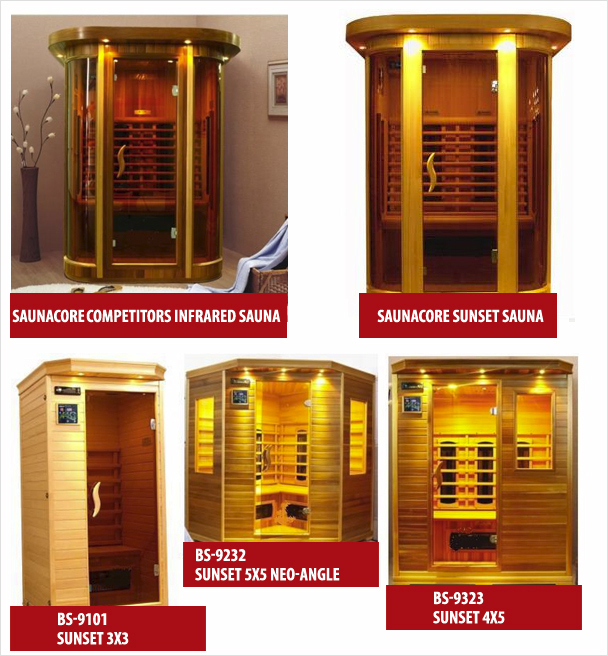 Example: Saunacore Sunset line is a China Made Sauna, branded with the model name SUNSET as requested by Saunacore. This china manufacture also sells the same sauna to other retailers throughout the world and in Canada, to many other importers. 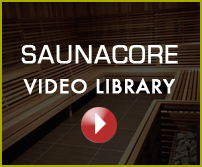 The reason Saunacore imports this sauna is to offer an economical sauna where price and cost is the critical key of purchase, not performance. Many buyers are on low budgets, and an infrared sauna is better than no infrared sauna. You make the comparison. You will see three sets of photos. One is the Saunacore Sunset line, the other is a competitor’s line, and the third is the Chinese manufactures product line. Observe the overall shape, design, handle, keypad, windows, etc…. You make the conclusion. 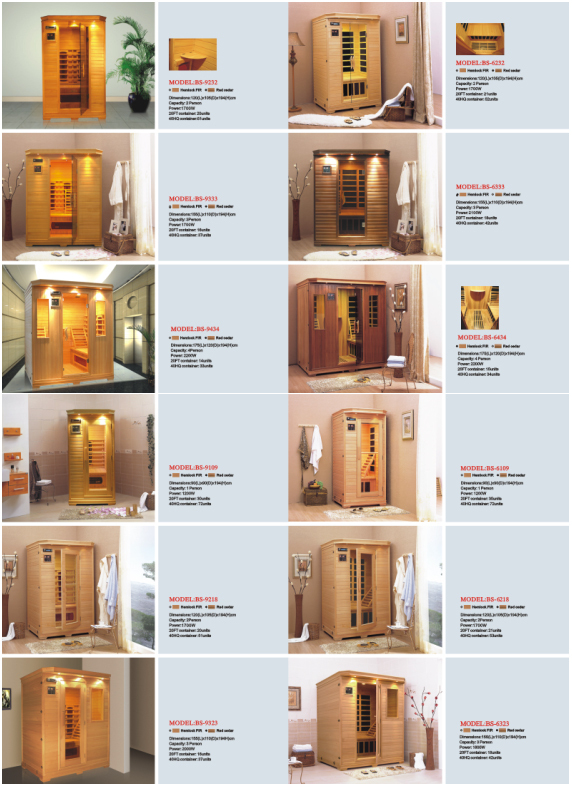 These are all Model numbers from our China supplier, as you can see they are extremely similar to our competitors sauna models, just that they apply their own model name the way we call our models SUNSET. Saunacore clearly states that these models are imported, while the other claim they are the manufacture. How accurate are all their other claims ????? ?THE MODEL # BS-9323, read competitors VOC reports which state this model #, our china supplier uses BS-9323 (BS-####) as their model numbers. Then we on our end, make our own model name for the same product that others are making their own model name. The sauna is always being imported from the same CHINA manufacture.Another way is too ask the seller of the infrared sauna to give you the ETL certification # (7-8 digits directly beneath LOGO). 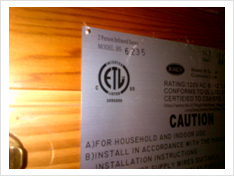 Every sauna is labeled with a safety certification LOGO and Number, it’s the LAW. That certification number is registered with the manufacture. Go to ETL website or call them, ask and demand to know who the manufacture is based on the NUMBER. That number on the sauna is the manufactures FILE number. Now sometimes the name on the sauna will be that of the Seller or Distubutor, but the File # will be cross referenced back to the manufacture. Sunset ETL certification # is 3095896, find competitors # on sauna, go to ETL website and enter. If you find two retailers with the same file number, but two different names, well then they are two main retailers, but one manufacture, they are both importing from the same manufacture. Saunacore has a CSA Logo with a CSA File number on all of their products that they manufacture in house, excluding Sunset (imported from China). This will identify that the product is manufacture by Saunacore and also list all the model numbers of the products. 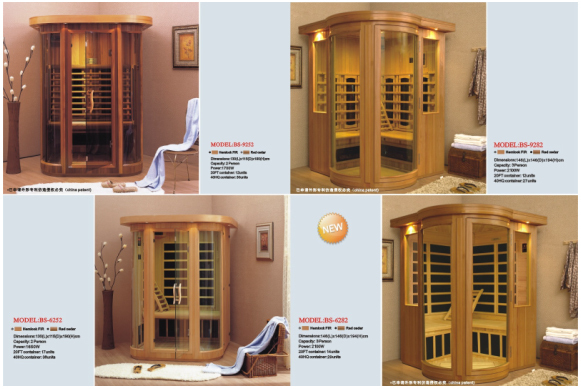 Manufactures can make any size, and shape, any type of wood sauna. To find out if the importer is lying, ask if they can quickly and readily make any model they sell slightly smaller, take off 4-5 inches on one side, or from the top. Ask if the door can be made larger. This time frame if possible should be capable of being done within 2-3 weeks. Now, if they need to specially order this from their supplier in CHINA, this will take at least a 8-10 weeks. And usually their answer will be NO, find any excuse not to change size, and just go with what they have in stock. The standard models.